The ultimate smart family phone at an affordable price, the Gigaset C620 presents excellent ease of use thanks to a clear interface and full-­colour screen and convenient direct access keys for call protection and management. It also functions as a baby monitor complete with talk-­back, a feature that may be activated using a direct-­access key. Winner of the Red Dot Design Award in 2013, the Gigaset C620 makes a perfect job at simplifying your household routine thanks to its clever features and excellent versatility. You can easily manage your contacts using the 250­-space address book, with each entry providing fields for up to three phone numbers, reminder dates and email addresses. With the Gigaset C620, sales calls and other unwanted calls will become a thing of the past, and you can also activate the silent mode whenever you don't want to be disturbed, whether it's at night or when your children are sleeping during the day. Additionally, you can activate the anonymous call protection feature to silence unknown callers or block up to 15 numbers entirely using the blacklist feature. 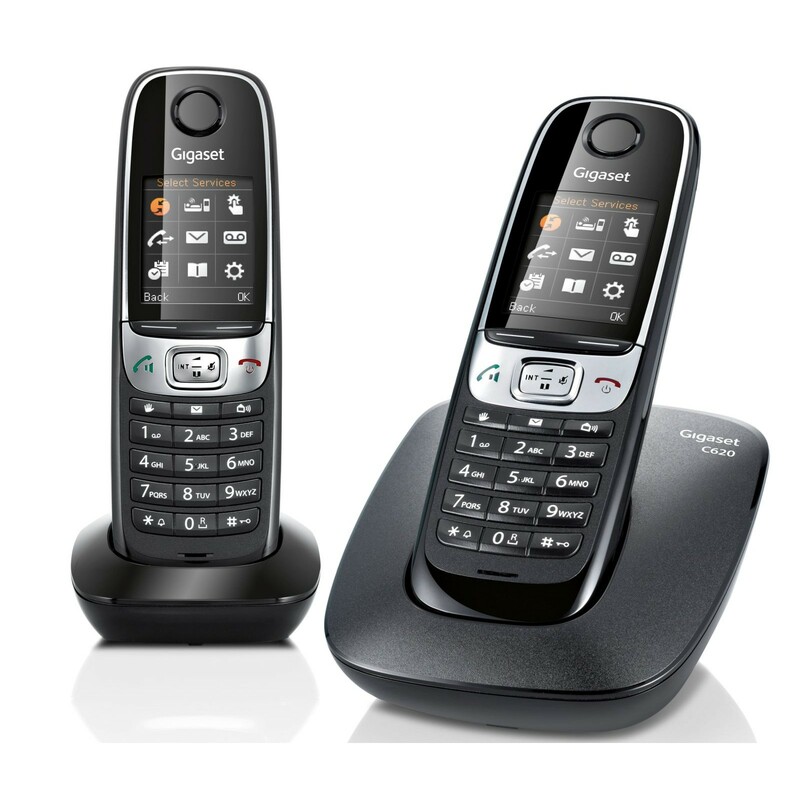 A versatile and dependable solution, the Gigaset C620 is also equipped with excellent cordless and hands-­free functionality and a battery that provides up to 26 hours of talk time. This set of two Gigaset C620 cordless handsets provides ease of use and the full functionality of a cordless baby monitor for use in family homes.